Query: Were Generals Dellert and Hogan on the UNSC Security Council in 2552? 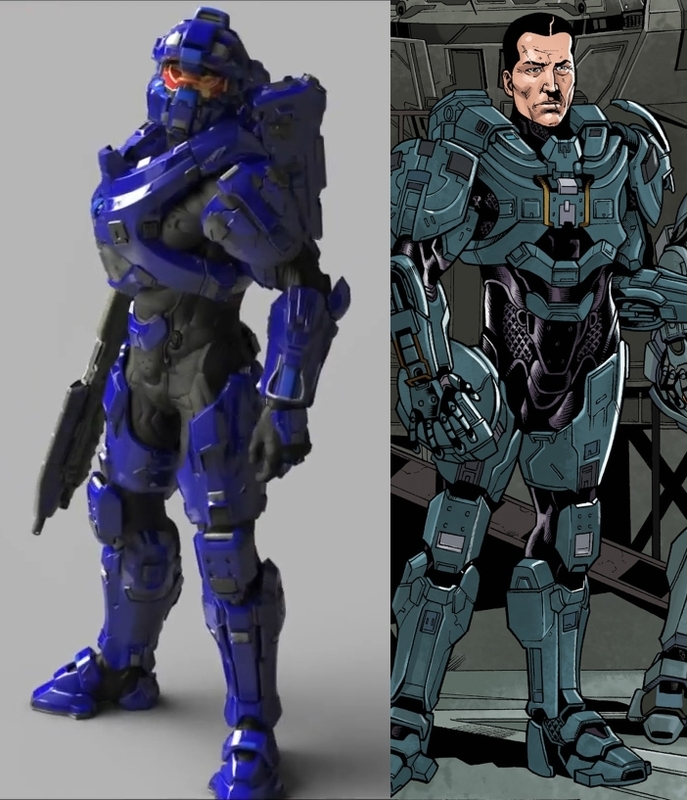 Query: What liberties were SPARTAN-IV personnel (canonically) allowed in the customization of their MJOLNIR GEN II armour? Query: What are the current statuses and or whereabouts of UNSC Marines Chips Dubbo and Marcus Stacker? Query: How many Sangheili Imperial Admirals were in active service during the Human-Covenant war? What was brought about by the large atheist movement in the early 21st century? What year was complete Irish independence achieved? Query: what is the status of Spartan-B170 also what is his or her name. Sincerest apologies if this query has already been posted, but this question has been bugging me for so long now, and I can never seem to find out for certain which answer is the truth. Again I am really sorry if I'm just cluttering the thread with already posed questions. It's my first time posting here. Query: What Spartans Died on Harvest? Query: Service tags of Spartan 2s Randall and Sheila? Query: Does the supercontinent Ah'lomet harbor its own distinct subspecies of [perosus latrunculus], as is the case with Ruuht, Ibie'sh, and T'vao? Query: Current status of ODST Lance Corporal "Rookie" (SN: 11282-31220-JD) ? Query: does ONI still keep control/influence/authority on Navspecwep? Query: does ONI section three have plans to reestablish its facilities on reach? Query: has ONI Alpha Site been rebuilt? Query: what involvement in Operation: WHITE GLOVE did the Beta Five operative who received a 600 series security container from Colonel Eton have? Query: what is Operation: BRAVADO? Query: Who is the current head of ONI, Section Three? Query: What month and if possible, day, did the Battle of Draetheus V start as well as end [ref. Halo: Spartan Assault]? Query: In the UNSC's records of the 2558 Requiem Campaign (ref: Halo: Infinity), we see a disconnect between how powerful certain entities are. Promethean Knights are surprisingly weak and slow and lack hard light shielding. Is that due to the records of the 2558 Requiem Campaign being condensed, or is it an accurate representation of how the Promethean Knights behave in combat. Query: After the firing of the Halo Array, were all the species that were reseeded reset technologically, or did they keep their technological levels that they had prior to the firing of the array? Query: A noticeable visual disconnect exists between UNSC Charon-class Frigate Forward Unto Dawn when it was seen in 2552 (ref: Halo 3) and 2557 (ref: Halo 4). Is there any explanation regarding the accuracy of the hull shape? Linked Query: No underside cargo bay exists on the Forward Unto Dawn (ref: Halo 4). How was the jump made to the hanger bay possible by John-117, and Thel 'Vadam (ref: Halo 3)? Linked Query: What is the visual status of the other Frigate classes? Query: How did the Flood outbreak of Shield World 0459 occur (ref: Halo Wars)? Query: Is the Sangheili Zealot engaged by Noble Team at the Visegrad Relay the same one encountered in New Alexandria, and the ship breaking yards of Aszod? Query: How many Spartan-II's adopted the MJOLNIR Mark VII Armor? Query on the status of Janissary James. Query III: If validity is comfirmed, did the ORION Project consist of genetic enhancement/modification. What does Kolaar Manufacturer produce? Query Answer: Human [frumentarii] records indicate Kolaar Manufactorum [forges] produce a range of civilian and military [artifacts] for forces allied to the Vadam [province]. Query: What is the status of 05-032 Mendicant Bias following the destruction of Installation 04b? Result: 2,901,001 cases pending against [poisoned fount] Mendicant Bias. Alert! Trace [flag] found in Human [security forces] records. Query Answer: Human records classify these [weapon platforms] as the Type-36 Ultra-Heavy Assault Platform and Type-47 Ultra-Heavy Assault Platform. Query Answer: Though both systems share the same [cognomen] in the Human [security forces] designation system, they are not related. Query Answer: Human naval records list requested individual as Thom-A293. Query: What was the name of the artillery pieces deployed by the Covenant in Mombasa in 2552 during the Prophet of Regret's invasion? Query Answer: Human naval and [frumentarii] records indicate that this [Covenant] weapon is designated the Type-48 "Weevil" Artillery Platform. Query: Are all Phantoms slipsapce-capable? Query Answer: Human naval and [frumentarii] records do not indicate slipspace capabilities for Type-44 or Type-52 Troop Carriers. Query Answer: Access to [pro bono] information retrieval is not tied to availability of [highest superlative] [entertainment collection]. Query: What is the Mark, Variant and Generation of this MJOLNIR Powered Assault Armor?